A respected insurance and risk consultant, Scott is an authority in the hospitality insurance industry and President of Scott Cooper Insurance Agency, Inc. He has been an insurance instructor at UCLA, a guest speaker and lecturer, an Amazon.com-best-selling-author, a restaurant owner and an expert witness. Scott is a broker-affiliate of Professional Insurance Associates, one of the top 50 agencies in the United States and licensed in all 50 states. His expertise in the restaurant and hospitality field has earned him the respect of national companies, colleagues, affiliates and clients nationwide. 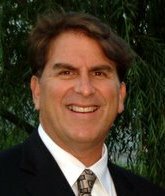 Scott, along with his business his business partner and wife, Fariba, own and operate their business in beautiful sunny Southern California, and continue to have the honor of serving their clients for over 29 years.